This entry was posted in 04 - New Posts: October 2012 onwards, Hallowe'en Tales and tagged Carse of Gowrie, Dundee, Elizabeth Bowen, Ghost, Glasgow University, Outer Hebrides, Perthshire, Scotland. Bookmark the permalink. Wonderful tale. This is the season when ghost stories abound in Galveston. 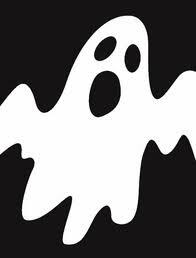 The ghosts – many of them victims of the storm of 1900 – always are around, but people like to retell the stories around Halloween. Certain buildings have “reputations”, shall we say. Also, the Dia de los Muertos celebrations in Galveston are big deals. There are some people who swear they’ve been visited by ancestors while taking part. I was “visited” by a dead friend in a dream, so why not? Thanks, Linda. How I agree with your last sentence! Over a very long period of time, I have had to face up to an Other side to myself, one sensitive to those levels of reality which according to the reductionist canon, don’t exist. This coming to terms provided a considerable challenge to my innate scepticism (in the open-minded sense of the word).But it resulted in a book! Everything is grist to the writer’s mill, don’t you think?